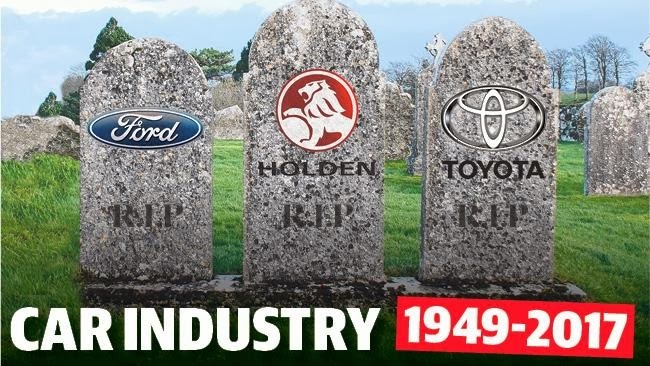 The decision by the multinational corporations to close down the car industry, tyre industry, whitegoods industry and others in Australia struck at the core of the working class. "The Australian proletariat consists of industrial workers and rural workers who have 'nothing to sell but their labour power.' In the factories, workshops, mines, construction sites, transport systems and farms, their labour creates 'surplus value' that is expropriated by the owner(s) of each productive enterprise and the capitalist class as a whole. Profit is realised when the value-added products are sold, and pocketed by the capitalist/imperialist owner(s) individually and as a class." The extent of the decline in manufacturing in the last 30 years has led some good people to think that the 'class war' is now over due to the structural changes in the economy and that there is no longer a significant industrial working class with the strength to be the leading force in the struggle against capitalism/imperialism in Australia. It is true that the manufacturing workforce declined from 17% of the total Australian workforce in 1985 to 7% in 2017 according to ABS figures. * 25,000 of the 877,000 have post graduate qualifications. * Manufacturing jobs in capital cities are still concentrated geographically speaking. These regional towns process and add value to rice, timber, wine, steel, alumina. * Other manufacturing industries where production line jobs have increased between 2011 and 2016 are breweries, log saw milling, and spirit manufacturing. These workers are in the front line of the struggle for an independent and socialist Australia as the factories they work in are owned by multinational corporations. As Bernard Salt says, “Many of our manufacturing skills and markets are being disrupted by powerful new global forces. A strong manufacturing industry is essential if we want to project to the next generation bold ideas such as the preservation of our independence and the cultivation of a culture of technical ingenuity. Making Australia make things is good for all Australians, now and in the future".